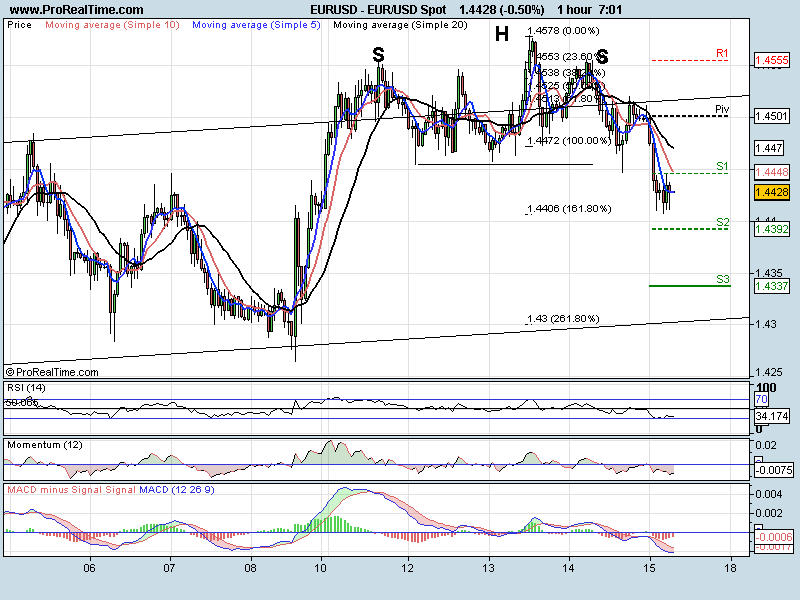 We got our break of support last night (1.4455) and have pushed lower to 161.8% of the first wave (1.4407). Here we look to the RSI where we are slightly oversold. Just because we have an oversold reading does not mean that we are preparing to go higher. All other indicators are strongly bearish with the MACD opening up (wider lines showing growing trend) and showing no signs of divergence. 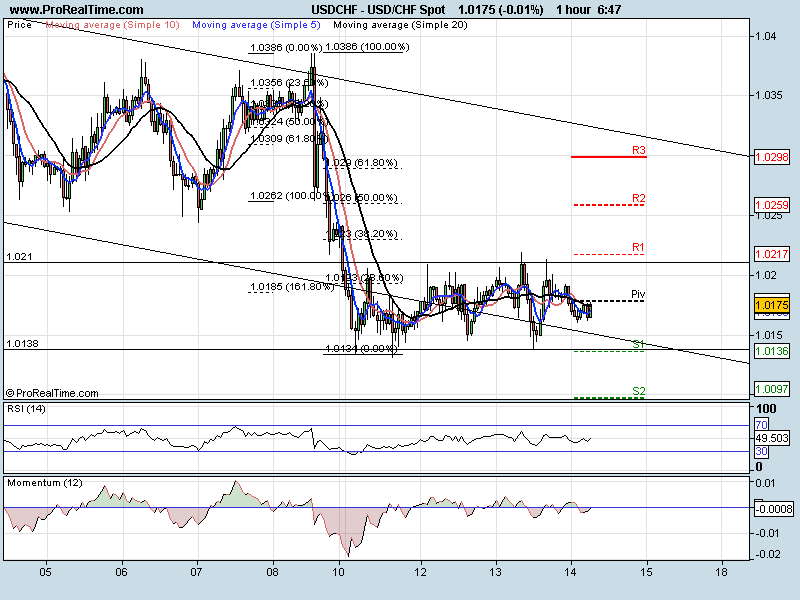 A break of 1.4406 should take us down to the trend line support at 1.4300 before we correct higher. A move back up through 1.4464 would negate that view. 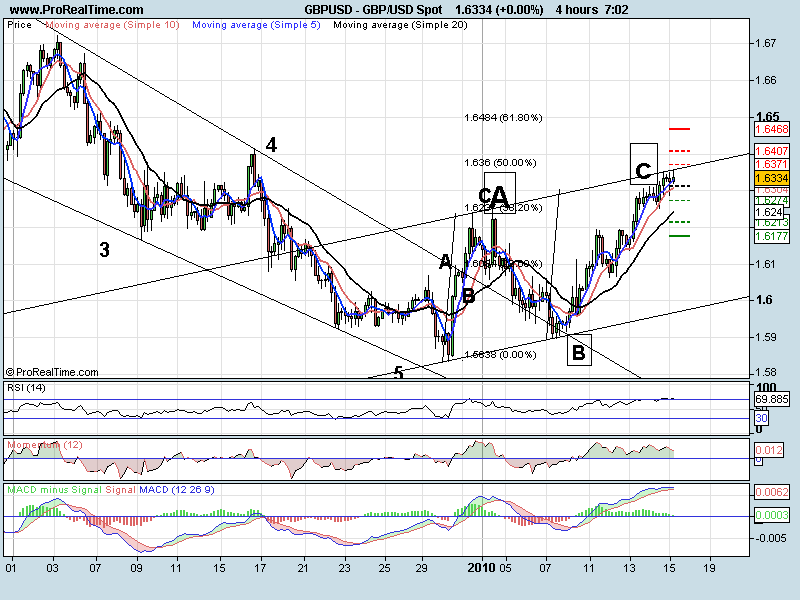 4 Hourly chart shows that we have reached and touched the large corrective trend line at 1.6356. We are now pushing lower. 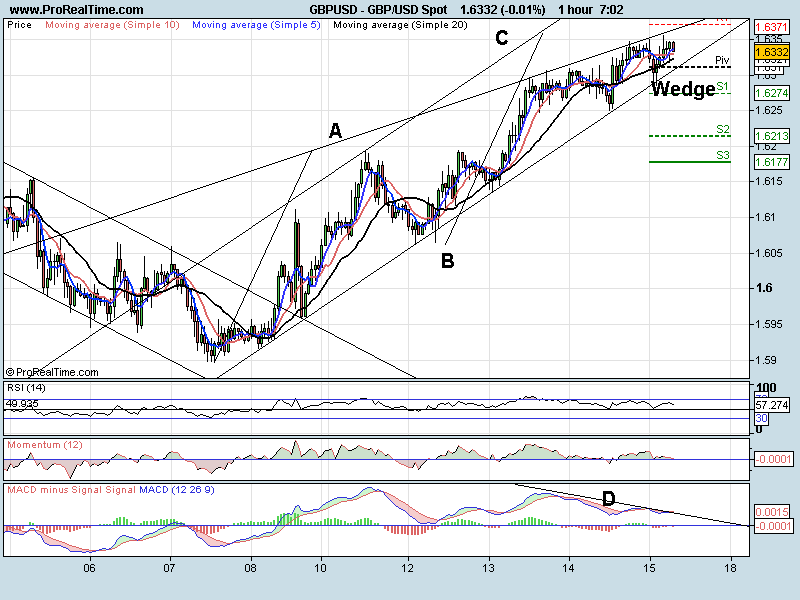 1 hr you can see this finishing in a wedge after a perfect ABC correction. 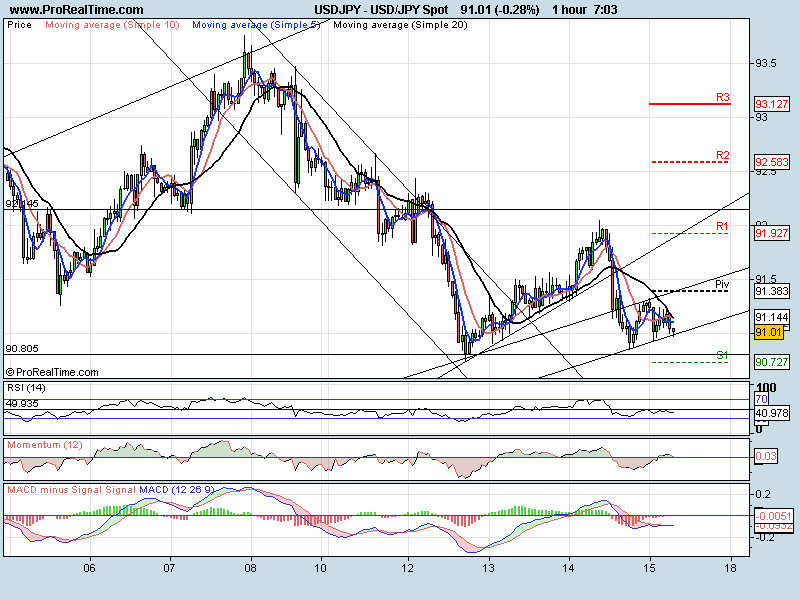 We would want to see a break of the trend line at 1.6305 to turn the pair bearish. Remember, breaks from wedges can be very strong and can target the beginning of the formation. MACD is showing signs of divergence to sell. A break through 1.6371 would negate this view. Failing to break the previous high (and low) at 90.80 at the moment. The pair looks like it is in a corrective sideways up channel but we would really need to see a break of the support at 90.80 to confirm a down trend. Other JPY crosses are strongly bearish and a long way off their targets so I would have to favour the downside for the pair. A break of this level should take us down to 89.84 where we have a daily trend line support (breakout line). A break above 91.50 should negate this view. USDCHF had moved higher out of its comfort zone. We had a strong upward move from the European close last night. Moving averages are in order to buy (Blue / Red / Black) and apart from the RSI hitting the 66 mark, all oscillators are showing a bullish bias. We have come up against some resistance at 1.0250 (showing two spikes) and need to clear that level to continue the ride up toward the top of the large channel (1.0326) A move below 1.0170 would negate that view.